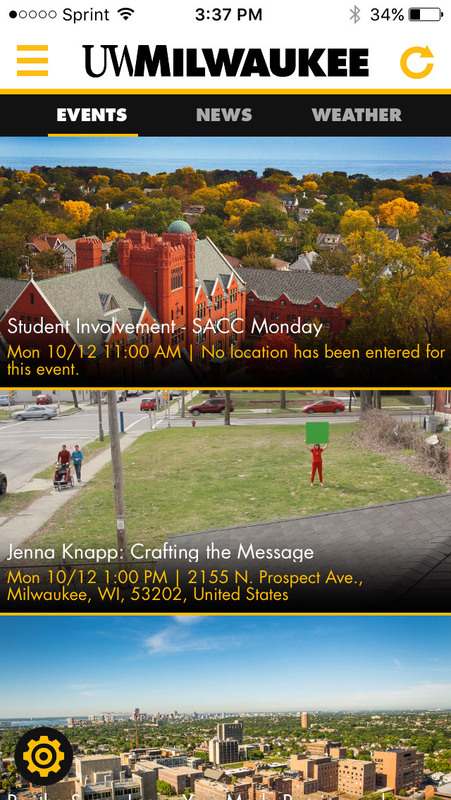 The UWM App Brewery released a new version of the UWM mobile app at the start of the Fall 2015 semester. The new version features a new events screen that publicizes student events at the UWM Student Union, events sponsored by student organizations, athletics events, and student-focused events sponsored by UWM schools and colleges. Download the new UWM mobile app for iPhone or Android. UWM Mobile is the university’s official iPhone and Android app. Its goal is to make accessing important resources like events, news, local weather, campus maps, contact information, shuttle tracking and more available wherever you are. Take a stroll though the “Streets of Old Milwaukee” exhibit at the Milwaukee Public Museum. Choose one of three audio character guides who give their perspective on life in Milwaukee at the turn of the last century (1890-1917). The App detects your location within the exhibit, so that the guide responds to your surroundings. The overarching theme of the exhibit will change periodically -complete with new app guides and stories. There’s always something new in Old Milwaukee! While you can read your guide’s comments, the app is best experienced with headphones (audio playback is disabled if no headphones are attached to preserve other visitors’ experience). The UWGB Mobile app allows for easy access to content important to any Phoenix. Users can see what the latest news are at UWGB, as well as find out what upcoming events are happening. An interactive campus map is available for those needing to see where a building is and when it is open. For those day to day activities such as depositing Pass Points, viewing dining menus, logging in to D2L, and accessing information on SIS, users can check out the quick links section. Waukesha County Recycles is an application for finding local, convenient recycling, and disposal opportunities no matter where you are. While the most searched categories are listed, users can utilize the search bar to look up how to dispose of or recycle an item. This app will also keep you informed of important local recycling news and events. Detailed information for collection points can be viewed such as directions, phone number, website, hours of operation, and other materials collected. This app allows for the tracking of concussion symptoms for athletes using the SCAT3 checklist. Athletes can have a baseline assessment prior to the beginning of a sport season or have concussion symptoms evaluated when an injury is suspected. Recovery can then be tracked using further assessments if an injury is sustained. The app allows for viewing information about common signs, symptoms and return to work / play guidelines for concussions. The SCAT3 checklist used is from the 2012 Consensus Statement on Concussion in Sport. This app is similar to other arterial blood gas applications, however with a base deficit-centered approach to solve acid-base abnormalities. This calculator is an ideal tool for practicing physicians, fellows, residents, medical students, advanced practice providers, and nurses who need to be able to interpret the base deficit number. With the requirement of only pH, PaCO2 and base deficit, this app simplifies the calculation process. Additional values can be entered to return a more complete analysis, such as Na, Cl, Lactate, Albumin, and Cr. Results can also be saved in an unidentified manner and graphed for a more visual review. Beyond the Bell is a powerful and easy way to find programs and services near you. These programs and services are able to be searched based on your needs and interests. Selecting a program from the list of results will provide you with detailed information about the program. This includes a description of the program, hours of operation, types of activities offered, and contact information. The 1000 Books before Kindergarten reading program encourages parents and caregivers to read to children ages five and under. The goal of reading 1,000 books before kindergarten is to provide your child the learning readiness skills needed to enter kindergarten. It may sound like a daunting task, but if you read just three books every day, at the end of one year you will have read 1,095 books. The 1000 Books before Kindergarten app allows you to keep track of your child’s progress towards this goal. 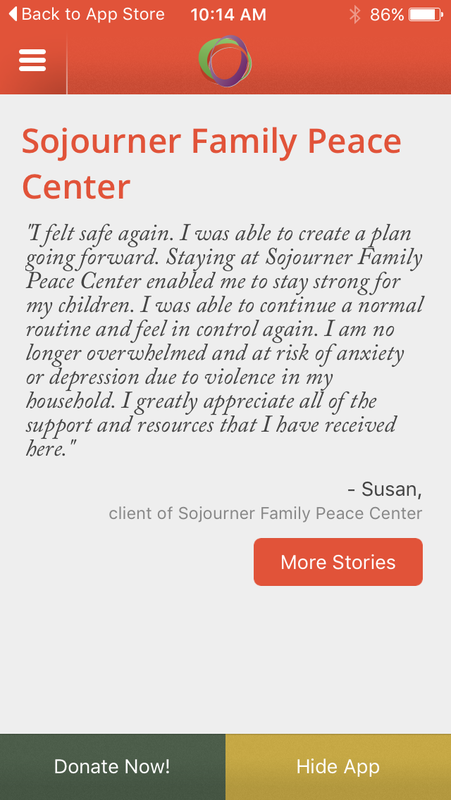 The goal of the Sojourner Family Peace Center is to ensure the safety of victims of family violence and provide a pathway out of violence for victims and abusers through opportunities to make positive and lasting changes for themselves and their children. Students and staff in the App Brewery support UWM's research mission by advising on grant proposal development for projects that incorporate mobile technology, and by designing, developing, supporting and hosting mobile apps for the UWM research community and UWM affiliate organizations. Contact the App Brewery to learn more about our research support services. We are located in the historic Physics building, conveniently located on the UWM campus. App Brewery students have the opportunity to better their skills and learn new technologies by working with researchers advancing their fields with innovative ideas.